JOHN DWIGHT SMITH, JR. JOHN DWIGHT SMITH, JR. He is as Pesky as they come! JDSJ! Home run was great, but I think I liked the double even more. Love to see guys take the ball the other way like that. And for balance he hit one right on the plate. How 'bout them Cowboys!..... er I mean Dwight Smith. Why does dWAR not like Smith Jr? He’s at -0.9 for his career according to bbref. He’s only played 5 innings at CF, so it’s not like he’s losing out because of that? He seems pretty good solid out there. dWAR loved Travis Snider. I’d say Smith is better than him defensively. Pretty much all the advanced defensive metrics rated Smith negatively in Toronto: -9 Rtot, -6 Rdrs, -4.4 UZR. The verdict in Baltimore is more mixed: +2 Rtot, -2 Rdrs, +1.5 UZR. It so happens that Rdrs is the stat that feeds into dWAR, along with a positional adjustment that takes into account the difficulty of the defensive position. 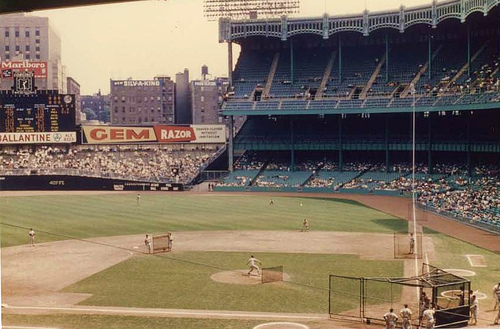 Prior to the advent of multi-purpose stadiums in the 1960s a lot of parks had fences shorter than 300 ft. League Park in Cleveland wasn't much over 300' to RC. 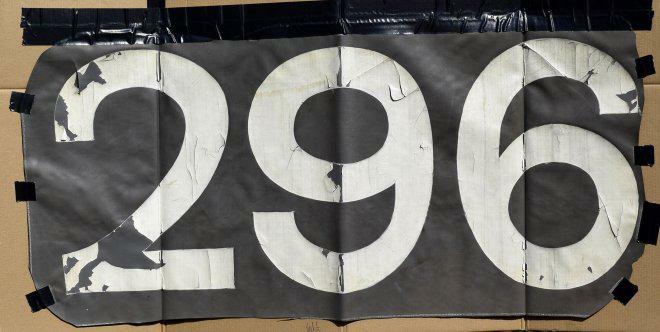 The Polo Grounds were 275 to left and 258 to right. Old Lakefront Park in Chicago in the 1880s had years where it was about 200' down the lines and probably not even 300' to center. I once saw some kind of community park in the Czech Republic with a baseball diamond. About 30' beyond first base there was a ravine that cut across the outfield. So it was effectively 120 feet to RF. So what do you think his value should be, and what do you base that on? Smith has 167 Major League plate appearances and has played 338 defensive innings spread over three seasons. Any value system's rating of him based on that small of a sample will track to his long-term value only coincidentally. Snider was left handed defensively and to my eye test had a better arm (but not using any analytics which should be more complete) and slower afoot. Smith is RH, arm looks weaker to me and he looks more tentative out there. But as @DrungoHazewood says above, the data is incomplete for Smith. But this is all conjecture so means little. Always keep in mind what dWAR is - it's defensive runs plus positional adjustment. Snider was a corner outfielder, meaning his positional adjustment is going to be negative. So to have a positive defensive contribution he has to be above average. dWAR was designed to put everyone at every position on a common defensive baseline, meaning that a 1B is going to start out roughly 20 runs per season behind a shortstop. Right, which is why I generally hate when people throw out oWAR and dWAR. Looking at other metrics he was average to slightly above, which is about what dWAR says too. That is not "loving" a player to me.